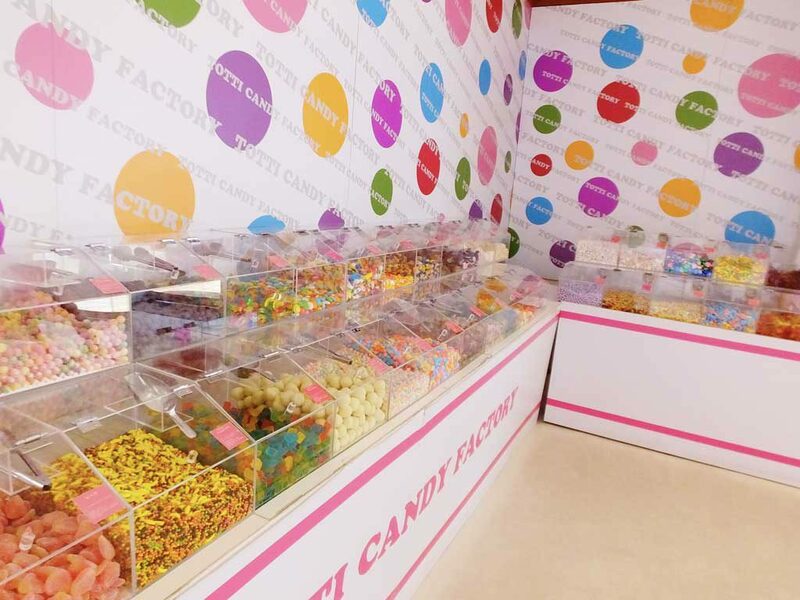 A sweet shop, Totti Candy Factory is especially popular among young people. 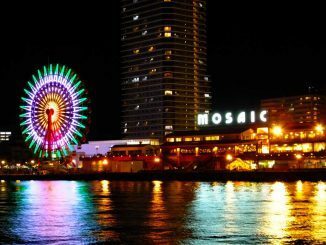 The shop at Umie Mosaic in Kobe (Hyogo Prefecture) is the largest among four shops in Japan. 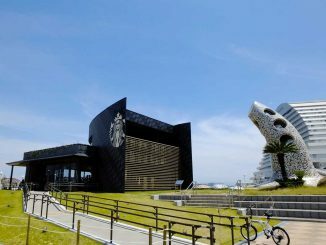 The other shops are located in Harajuku (Tokyo), America-mura (Osaka) and Nagoya (Aichi). The concept of the shop is ‘exciting and happy place’. 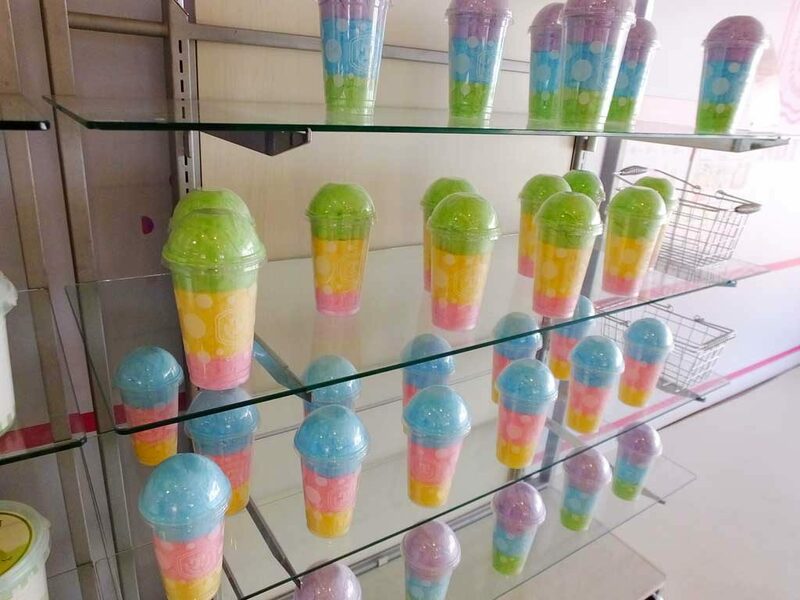 Its colorful cotton candy is made with a special machine. In the shop you can feel what Japanese pop culture is like. 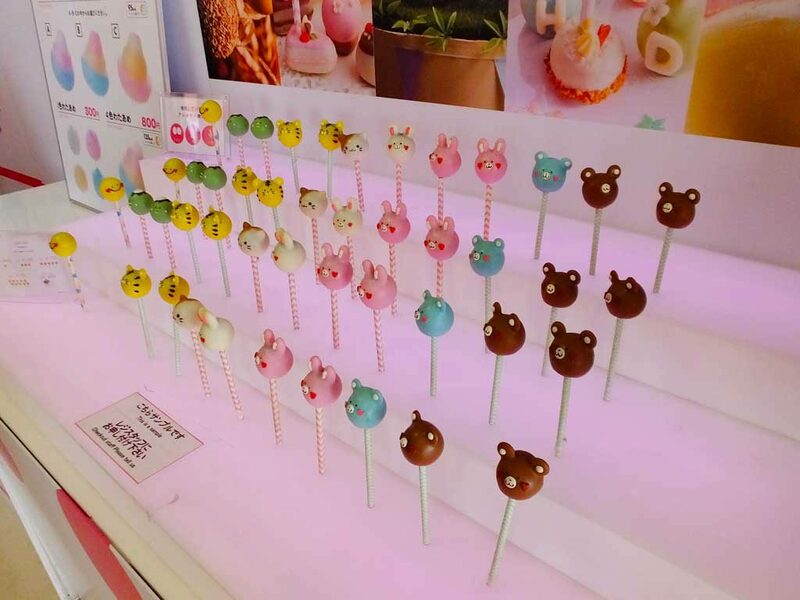 The hand-made cake pops are the very kawaii (‘cute’ in Japanese pop culture). I think the cake pops can be very nice gifts for girls because they are not only kawaii but also authentic. Inside cake was developed with a pastry chef of a starred restaurant, and you can enjoy a rich taste of chocolate. Also there is a wide selection of confectionery, and you can buy it by weight. 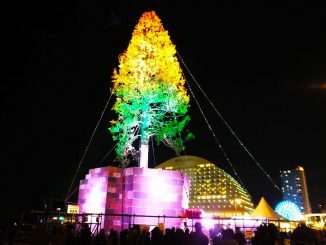 The colorful confectionery came from all over the world, and its selection changes weekly, so you have a good time whenever you come. Be a kid again and just have fun selecting your favorite!